Horror Inc in Montreal or Quebec City? 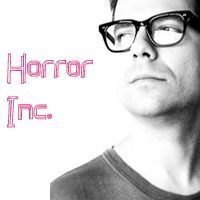 Inform me about the next events for Horror Inc.
Enroll yourself to our priority waiting list for Horror Inc to be alerted when new tickets are available. Filling this form doesn't engage you to any purchase. Horror Inc., project of the Montrealers Marc Leclair, will be at the MUTEK Festival which runs from June 1st to June 5th, 2011. Horror Inc. released the disk Aurora in 2010. The musician previously used the pseudonym Akufen, with whom he has built a solid international reputation.